Running shoes are designed to accommodate various foot types and offer varying degrees of stability and pronation control. 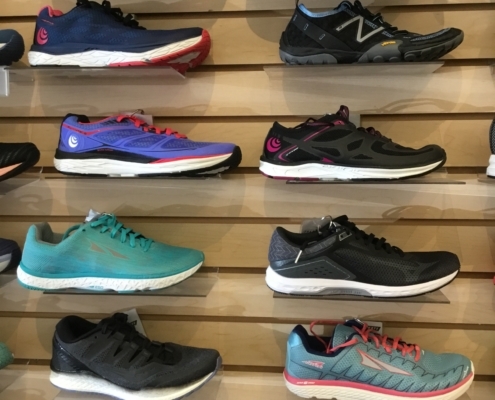 By analyzing your foot movement, evaluating your biomechanical tendencies and running habits, the expert staff at TRANSPORTS can make specific footwear recommendations. By utilizing our video recording and playback we can more accurately identify any movement that might be correctly supported by the proper footwear. Of course the final deciding factor always comes down to fit, feel, and comfort. 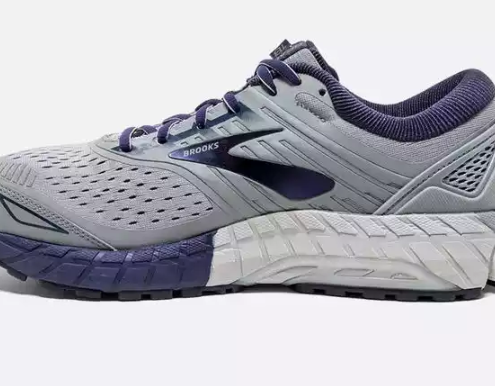 Commonly (but not always) if you have a compressed arch or flatter foot and your foot/arch roll inward excessively as you progress through the gait cycle, you may benefit from running in a shoe that emphasizes motion control. If the Video Analysis indicates that you are an excessive over-pronator we would likely recommend a MAXIMUM MOTION-CONTROL shoe. If the video analysis confirms that you don’t over-pronate and if your arch is high and remains rigid throughout the gait cycle, you may even be an under-pronator. 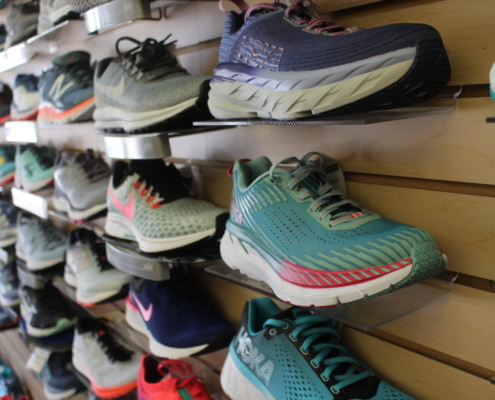 In this case, a more NEUTRAL shoe that emphasizes increased cushioning and shock absorption may be recommended. Many of us fall somewhere in-between. A moderate degree of pronation is actually a natural shock-attenuating mechanism and should be facilitated. 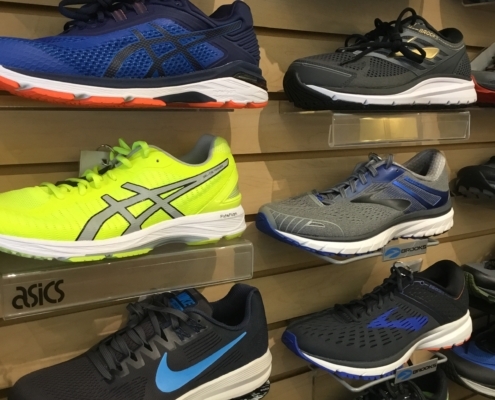 Many running shoes are designed to provide a moderate amount of STABILITY for appropriate mid-foot support while also emphasizing cushioning and shock-absorption. There have been motion studies suggesting that when running in minimal shoes, one naturally lands on the midfoot, directly below your center of gravity. This can result in optimum balance, increased stability, less impact, and greater propulsion. For some runners, when used with a specific training regime, Midfoot and Minimal shoes may help strengthen feet & lower legs and improve efficiency.